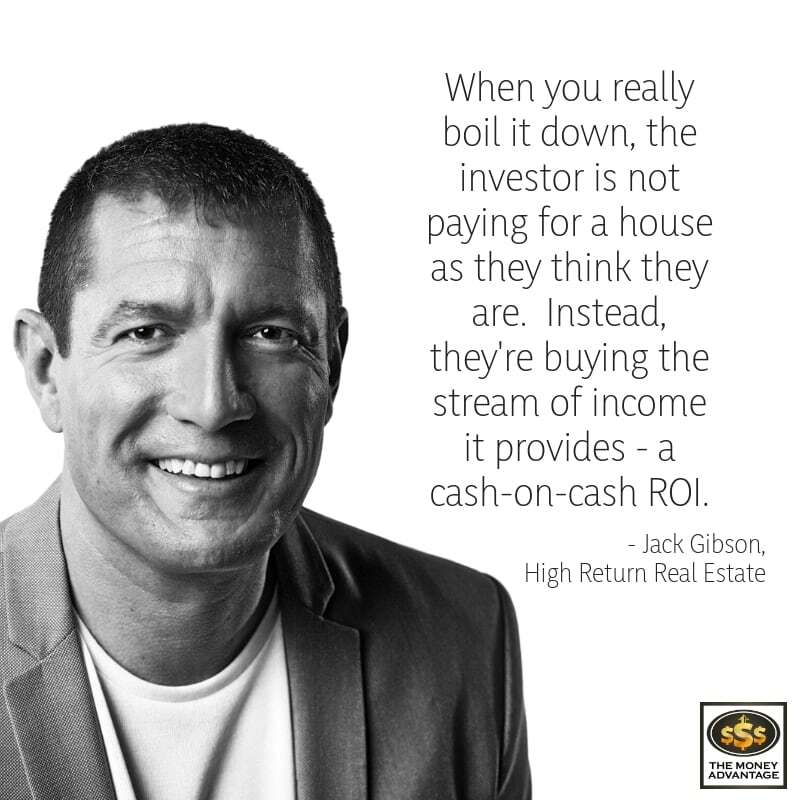 Jack Gibson, President and Co-Founder of High Return Real Estate, gets it. After building a multi-million-dollar income with a multi-level health company, he had a serious wake-up call. A bet was placed against his company’s stock, and he ran the risk of losing his financial footing. He felt vulnerable watching his only income source teeter and committed to building multiple streams of passive income. In a short time, he’d built a portfolio of over 50 properties. Now, along with Jack Schechter, he operates High Return Real Estate, a turnkey provider. They specializing in helping other people build cash flow income with turnkey rental real estate in Indianapolis, IN. It’s not enough just to make a decent living and trust someone else to manage your money for you. Instead, you want to control your life and financial destiny. That’s why we, at The Money Advantage, help business owners build time and money freedom. We do this using our 3-step cash flow system. First, you’ll keep more of the money you make through tax planning, debt restructuring, cash flow awareness, and restructuring your savings to where you can access it as an emergency/opportunity fund. Then, you’ll protect your money with insurance and legal protection, and privatized banking. 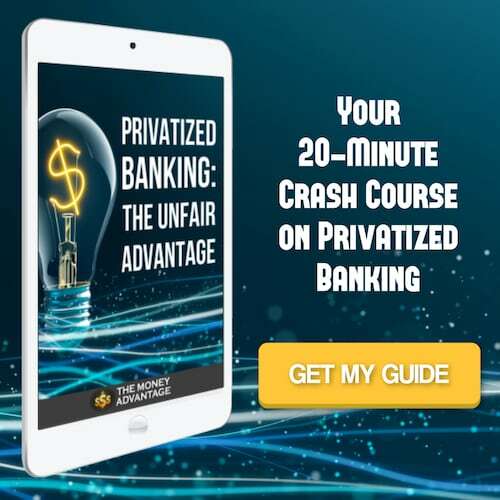 Finally, you’ll put your money to work and get it to make more by investing in cash flowing assets to build time and money freedom and leave a rich legacy. Today’s conversation about turnkey real estate investing fits into Stage 3: Investing. It will educate you and give you options for investing for cash flow. Jack Gibson is the President and Co-Founder of High Return Real Estate. He began his entrepreneurial journey at 19 and founded his first company at the ripe old age of 21. Operating a successful nutrition consulting and distribution company, he had built a multi-million-dollar venture before he was old enough to rent a car. Soon after that, he bought his first home as an investment. One quickly became five, and then the bug hit. 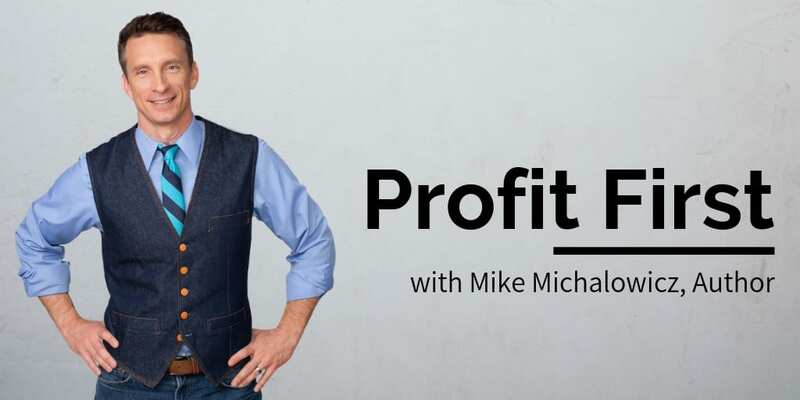 He became obsessed with learning everything about real estate investing and soon had over 50 investment properties generating passive income. Today, Jack spends his time mentoring other entrepreneurs, building his real estate investment portfolio, and helping other investors build a brighter future through the power of turnkey real estate income. Jack Gibson: [3:05] I was 19 and going to college. I’d always had the entrepreneurial bug, but I just didn’t know how to apply it, especially at a young age. I was getting disgruntled with the whole “go to school, study hard, get good grades, get a job” idea. That wasn’t the path I wanted to be on, but I was just trying to make my parents proud. One day, while I was sitting in my dorm room, I recieved a flyer for a multi-level marketing nutrition opportunity. At first, I thought, No, I don’t want to sell anything. And then for whatever reason, it hit me, why not just keep an open mind and check it out? What do you have to lose? An hour? That’s where I think people lose opportunities. It’s right in front of you, and you just don’t ever really take a look at it. So, I took a look at the business and started. By a year in, I started really gaining some traction. By 24 months in, we created a million-dollar business, right from my dorm. I had a lot of challenges, of course. In that first 12 months, I had to figure it out. Then, after I graduated college, got the diploma, and made my parents proud, I worked that business full-time. And I’ve been doing that ever since. I think we closed out at least 10 or 12 million in sales in 2018 for that entity. While it gets a little controversial, the business model offers the ability to have a business with no employees, no overhead, and I can work from home, so my own hours are completely on autopilot. It’s also a blessing to help other people financially, and with their health and nutrition. Jack Gibson: [5:39] Things happen for you, not to you. The negative things that happen in your life are happening for you, not against you. At the time, you think they’re against you, but then when you look back with hindsight, you see that they were a blessing in disguise. Four years ago, a couple events happened. Our company received the largest attack in American history, a $1 billion short bet against our company’s publicly-traded stock. It set me up to notice, I only have one real stream of income here. 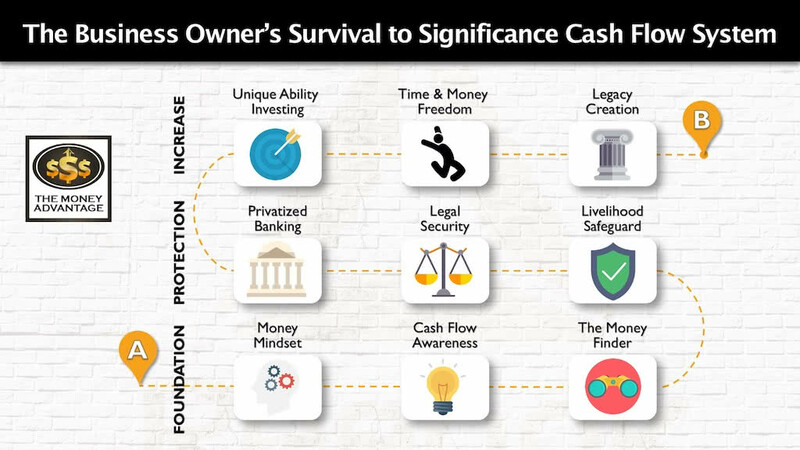 Yes, I have some cash that I’ve accumulated and invested, but I don’t have another stream of backup income. I realized then that to create a long-term smart financial plan, I needed to have multiple streams of income in other sectors. I saw that real estate was where I want to go because it’s passive income if you do buy-and-hold rentals right. 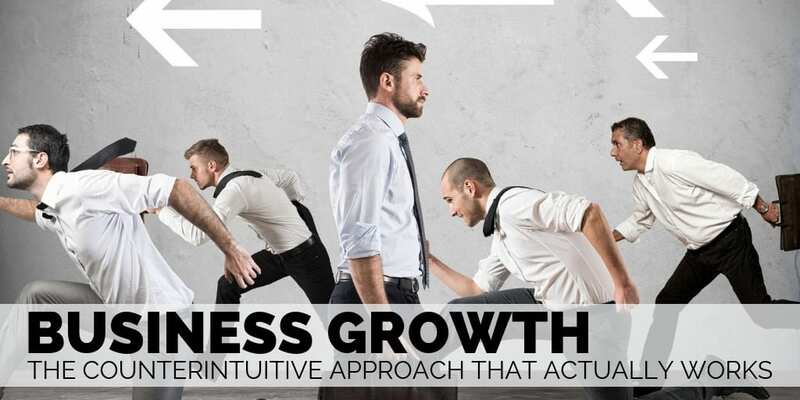 Jack Gibson: [7:20] Also, at the time, I knew I needed to stay singularly focused on what I was doing with nutrition and take one hundred percent of my bandwidth and just grow this business. But I knew down the line that I was going to diversify into real estate. At the same time, stocks dropped like a rock when I was in oil. I knew that it was the time to make a move. Jack Gibson: [8:07] I spent an hour every morning at the gym and noticed that I wasn’t utilizing that time to really educate my mind. I was using it to build a better, healthier body, but I could be using that to educate myself on things like real estate. So instead of listening to music, I listened to a ton of podcasts while I was working out. For 100 straight days, I listened to an hour-long podcast on real estate, while I was working out or in the car, looking for opportune moments. I read some books, but it was mostly podcasts. Then I just dove in and took action, and I made some mistakes. If I had waited longer, done more research, and really understood, I possibly could have avoided mistakes. But that’s really not the way I’ve ever operated in business. Instead of Ready, aim, fire, I do the opposite: fire, aim, ready. Jack Gibson: [9:53] I had a bit of entryway into rentals because I’d already had my very first starter home, a single-family rental. I’d rented the property every month for eight years, so I recognized the demand for rental property. The problem with that was that I was in too high of a price point to make a good cash-on-cash return. I was making 5%, 6%, or 7% maybe, but it wasn’t very exciting at all. When I started researching other markets, turnkey real estate popped up in my podcast. I realized that turnkey would be a great way for me to start, just simply because I don’t have a lot of the knowledge of how to acquire a property at below-market pricing, find a good deal, rehab it, and get good tenants in place. All of that was well above my knowledge base and the time and energy I was willing to put into it. I bought a single-family turnkey. Because that started getting a great return, I bought more, building a portfolio. Pretty soon I had 50 plus units. Then I referred the people I knew and started earning commission because of everybody that I referred in. Then, I started taking more and more of an active role in the business. Finally, I realized I could scale beyond my network, through building digital marketing, a national brand opportunity. I got ahold of my digital marketing coach, Jeff Schechter, aka “Shecky,” and we partnered up to create High Return Real Estate. Jack Gibson: [15:32] At High Return Real Estate we sell a cash-flow-producing asset to our investors. They’re not so much buying a house; they are buying a stream of income. When you really boil it all down, the investor is not paying for a house as they think they are, but they’re paying for that stream of income it provides. They’re buying a cash-on-cash ROI. High Return Real Estate takes it from the beginning. We acquire distressed properties to get good pricing. For us to make money, usually the deals aren’t the pretty houses on the MLS. Instead, they’re abandoned, or there’s a tenant that’s not paying for the last six months, or it may need $5,000 – $10,000 in repairs and the owner wants out. We can buy those properties off-market at a pretty good discount. And then our value-add is how we get that back to performing status for our investor base. We do the acquisition and rehab. For this, we have a lot of crews, both internally and outsourced. Then, our management companies are all in house. They’re placing the tenants, leasing up the properties, doing the ongoing maintenance and repairs, and chasing down the tenants for rent. High Return Real Estate is mostly in B and C-Class neighborhoods, so it takes some pretty aggressive management to get the properties to perform. Jack Gibson: [17:51] A-class is going to be typically higher-earners, with a hundred-thousand-dollar household income, who are willing to pay $1500 – $2500/month in rent. These are usually nice 3/2, 4/2, 5/3 house in a really nice neighborhood. Those are tough to cash flow because you’re paying a premium for those types of neighborhoods, and the rents still don’t equate to getting a really good, bottom-line, net ROI. Tax rates usually are higher. In today’s market, it’s tough to get anything beyond a 5 or 6% return. With B’s and C’s, you’re still getting a lot of owner-occupied neighborhoods. Often, those are usually 4/1 or 3/2 houses. With C-class, it will be almost all rental areas where there’s not a lot of homeownership in those areas. A lot of blue-collar workers that are making maybe three times the rent. For that tenant class, in December, buying Christmas presents can be more important than paying rent. It’s just the reality. The cash flow is in C-class because we can get single-family homes to investors for $40,000 – $50,000 that are paying $600 – $700 in rent. The investor is cash flowing at least 10% ROI after expenses. In today’s market, that’s an outstanding cap rate. So that’s where we stick to create a really nice stream of passive income for our investors. Jack Gibson: [22:34] Right now, we have 400 units under management, and that’s just in the last year. About a year ago, we formed a partnership with Urban House. These were our acquisition guys who were feeding us properties. But they saw our struggles with outsourcing property management, who make their money through up-charging maintenance and repairs. Property management had been charging so much that they were eating away all of our investors’ cash flow every month. It really hurt us because we work so hard to get these properties performing, and then we saw our investors come back complaining that the properties weren’t making a great ROI. We knew we had to take the property management internal. We asked our acquisition team to take on property management, and they agreed to do it. Now we can all stay in our own lanes, and we can be in control of the entire process all the way through. And our investors aren’t getting gouged on after-the-sale repairs and maintenance. Jack Gibson: [25:44] Security deposits are a tougher thing in C-class property. Say the rent is $650 on a two-bedroom, one bath house. Sometimes, if we need to fill the property, we’ll take $300. Realistically, they should be putting down $1,200 – $1,500, but if you charge that, you won’t lease anything up. You have to move with them. But tenants rarely get their deposits back. They usually do something that necessitates management keeping the deposit. However, there’s no way around it, typically on the tenant turn, the investor’s always going to have to do something. With our model, though, we can mitigate those risks because we have internal teams that we’re paying hourly, and we don’t mark that up, and the investor’s getting that at cost. That’s huge for their cash flow. Jack Gibson: [26:59] At the end of the day, if investors aren’t getting a good cash flow, two things aren’t going to happen. First, they’re not going to buy any more properties. That’s a terrible event because we want a smaller investor pool that we’re building a long-term partnership with, versus trying to onboard hundreds of clients, because that’s a lot of work. The second is that we thrive on referrals. If our investors are getting good cash-on-cash return, they’re going to open us up to their higher-net-worth friends and family. That makes our job so much easier. That’s why we wanted to control the whole processes and keep the cost down for our investor base. Jack Gibson: [28:05] Our property management is a flat 10%. At the end of the day, the property management division is merely a tool to facilitate the acquisition and sales of properties. Our property management team makes their money through an acquisition fee, and we make our money through selling. Property management is just a tool to help our investors to cash flow. It’s a breakeven scenario, at best. We charge a one-month lease-up fee. 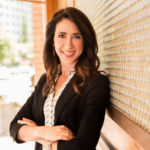 Companies I partnered with initially only charged $150, but that wasn’t a long-term sustainable way to grow and scale a company, because there’s not enough cash flow coming in to have enough good leasing agents to screen tenants effectively. For us in C-class, you need to charge the first full month’s rent. How Do You Invest with a Great Turnkey Company and Not Get Burned? Jack Gibson: [30:17] A lot of people got burned by a couple of companies because they were buying properties before they were actually completed. The investor was buying property in hopes that the company would keep their word to do the rehab to the quality that they had promised. The problem with that, especially when doing out-of-state investing, is that the quality of the rehab can be very different from what your expectation is, compared to what they’re actually planning on delivering, and they can also hide a lot of stuff. They can put lipstick on a pig, and make it really look good on the pictures. But if the internal bones of the property – the electrical, plumbing, foundation, and roof – aren’t all intact and good quality, you can get killed over the long haul, fixing that stuff back up. That’s how the investor can pay way too much for the property. And now on top of that, still have to go back and fix the bones. That’s why we want to make sure that the investor has full confidence and full disclosure of everything about this property. We want them to know when they buy it, how old the roof is, that the electric works, the plumbing is good, and the foundation is intact. To facilitate this, we have an independent third-party inspection company do a five-point inspection to cover all the major infrastructure that would be the expensive stuff for the investor. If anything comes up on the report, we take our crews back in to address the issues. We provide a signed third-party inspection compliance report and pictures to the investor, so they can see everything about the property. Jack Gibson: [32:52] After buying properties from different teams around the country, I’ve found is that it’s not just about buying a property. You’re really buying the team that’s behind the property. You can pay more for a property that doesn’t look nearly as good on paper with the ROI, but if the team behind it is excellent, it will outperform a property that looks better on paper. We encourage investors to fly in and do an investor tour, meet us, come to our office, see the properties, and get a feel for what we’re doing. We offer referrals and references of people that have known me for 20 years that have done real estate transactions with me. That way, prospective investors can do their due diligence however they decide they want to. Jack Gibson: [35:44] We certainly don’t guarantee anything. In fact, we make investors sign an affidavit when they buy the property, recognizing that, like any investment, it has risk. We want to ensure investors understand that it is challenging to manage. But with the right systems and processes in place, you’ll find the middle ground between over-screening tenants and having a high vacancy rate, and throwing somebody in and just hoping they pay. The good thing about the state of Indiana is that the eviction law is very much on the homeowner side. We can get people out in 30 days. Jack Gibson: [39:14] You really can’t give too much leeway in this tenant class because if you give them an inch, they’ll take a mile. You really have to create a pretty hard-nosed structure with them. Still, there are times where the team makes decisions on the fly when a person actually does have a legitimate reason to pay late and will work something out with partial payments. We don’t want to keep turning over tenants. We want them to stay as long-term as possible because tenant turnover is the costliest part of the property rental business. Turnover creates a vacancy, which is the most expensive line item. In addition, you’re going to have your tenant turnover costs to get the property back into rent-ready condition. We want tenants to stay a long time, so we answer their maintenance requests very quickly. Jack Gibson: [41:15] Initially, because I live in Michigan, investing in Indianapolis was convenient. It was less than three hours away, so I could actually go in and see the market and see properties. It has all the things that you need. Taxes are very low, capped at 2% of assessed value for investor property. The market has not really grown that much, so the prices aren’t so high that it doesn’t make sense from an acquisition standpoint to have a good price-to-rent ratio. The price-to-rent ratios are still solid because it’s a stable city. For instance, in 2008, it didn’t really crash much, only dropping about 10%. It’s almost recession-proof, and it doesn’t have wild swings like the coastal markets do. There’s a huge amount of rental demand, and there’s lots of industry with good, stable blue-collar jobs there, so the job market is very good. The city is growing slowly because the job market is so good, and the economy is solid. Jack Gibson: [43:27] Like most people, I wasn’t educated about insurance. I think there’s a lot of misinformation from stereotypes – the same thing I find in network marketing. People have a mindset that, for whatever reason, is preventing them from seeing something that’s pretty awesome. With insurance, it’s the same thing. There are great insurance products, and there are others that are not so great. That’s where you need a team like you guys to help the buyer decipher the difference and figure out the right move for them. For me, it was about getting myself educated. I hired a company to help higher-income-earners use tax reduction strategies to lessen the pain of April 15. They referred me to a partner company to help with insurance. I started my policy about two years ago, and I just turned 40 this past year. We put $100,000/year into our policy. We’re pretty aggressive with it. After the one-year anniversary, I was able to borrow against my policy, but the policy is continuing to grow. I can invest in more property, so now I’m making money in two places. My policy is continuing to grow in absolutely the safest place. On the flip side of that, now I’m able to have this cash to be able to deploy and actively use to buy more investments to fund my High Return Real Estate acquisitions. We can do more fix and flips. It’s really going to be cool when I hit year 3, 4, and 5, when I can borrow quite a big chunk against the policy to have some really cool working capital. We used a mutual company, as that’s a very important part of it. 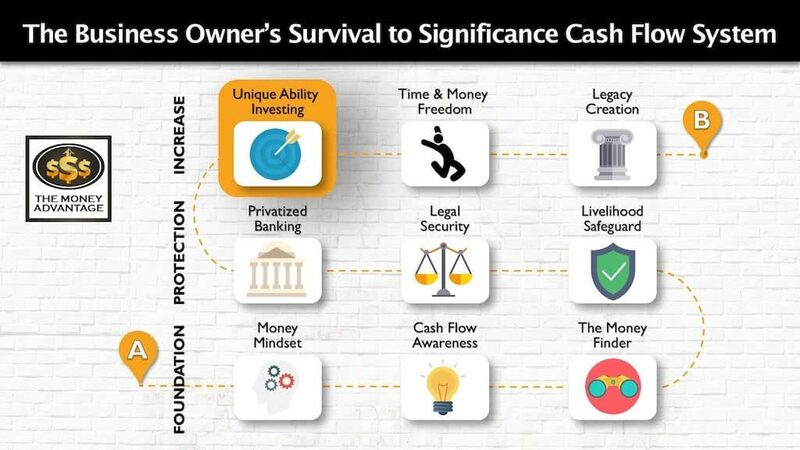 Why Did You Build Your Financial Life with Cash Flow and Control? In my nutrition company, I knew that we had a really good quarter. I had legal insider information effectively. I’m an independent sales rep, I know the metrics, and I know what’s going on in the market, so I bought a lot of the stock. I bought it right before the earnings report came out because I knew the earnings were going to be phenomenal, and usually when it’s good, the stock goes up. You’re not always right, but I knew it was a pretty good bet. Then, this guy, David Einhorn, gets on our call with three questions. He’s a known short seller. His questions created an effect that he was about to short, and the stock dropped 30% overnight. That told me that I’m not in control when I invest in the stock market. With real estate, I can control it to a certain extent. I can’t control everything about it, but I can control a lot of the aspects of that investment, and I like to be in control. To me, that is better for my overall well-being, and I can actually sleep better at night, knowing that I’m in control. Jack Gibson: [51:26] The other thing I look at is this: do I want a big pile of cash at the end of the day, or do I want streams of income? This is my thought process: If I hit 65 and I’ve got 2 million accumulated in the stock market, now I’ve got to start depleting those funds to live off of for the rest of my life. Instead, if I go into retirement with multiple streams of income that are kicking off plenty of money for me to live on, enjoy a great lifestyle and still have access to be charitable without worry, we can still invest for the future. To me, that just makes a lot more sense to have multiple streams of income versus one lump sum. That’s why I invest. My nutrition company and my rental real estate are each built on a passive stream of income. Jack Gibson: [53:25] I’m all for capital appreciation because you’re not taxed on it immediately, so you can defer the taxes and grow the wealth through appreciation of the asset. That’s the one thing that the stock market offers you. But with real estate, I get capital appreciation, and I can get cash flow. Now, I will say this, it’s tougher to do both. At a high level, usually, you have to give up one for the other in a way. With our properties, we don’t expect them to go up in value that much. It’s not a capital appreciation play, it’s more of a cash flow play. For those who invest in coastal markets, where you think the property value will go up, it’s not a cash flow play by any stretch. It’s probably a negative cash flow play. A lot of times you’re banking on that appreciation. You have to know what you want. From my viewpoint, banking on capital appreciation is a pretty risky strategy, but some people that really know what they’re doing can play that game. Jack Gibson: [58:53] You need to know what your goals are, and what your bandwidth is. Do you want to be an active investor or a passive investor? Most people are probably much better off if they’re focused on what they’re doing to generate income, and then become a passive investor on the side. If they’re going to invest passively, though, you need to get knowledge and education about all the different strategies. There’s a lot more to growing and protecting wealth than signing up with a broker and asking them to invest your money for you. Explore available properties and start investing by booking a call with the head of investor relations at High Return Real Estate. Get The Ultimate Checklist: Know with Complete Certainty, Which Property Is the Best TurnKey Investment, in 5 Minutes or Less, Without Second-Guessing Your Decision! 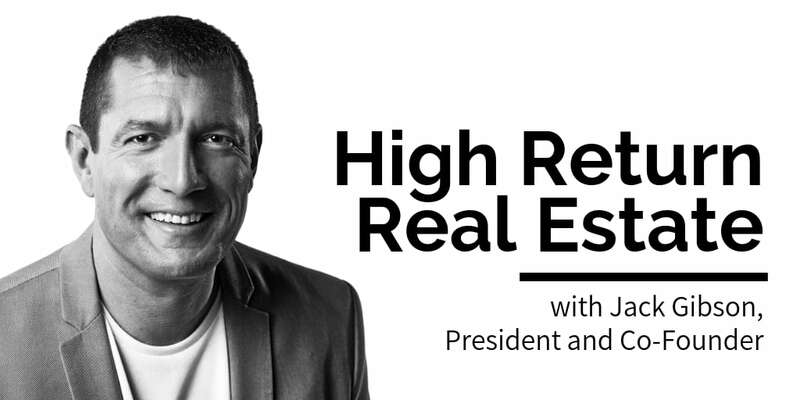 Check out The High Return Real Estate Show: The Podcast for Heavy Hitters. The show educates investors and gives them an opportunity to get to know the High Return Real Estate team before actually meeting them. Do you want to begin building capital, putting it to work, and accelerating time and money freedom? To find out the one thing you should be doing to increase your cash flow by keeping more of the money you make, book a Strategy Call with us today.